Combining a bunch of stuff into a single family (nesting) makes modeling more efficient, and can be less of a processing hit than groups – but there are some things to consider – specifically, if the nested elements should be SHARED. By default, component families are not set to be shared. This setting is in the general parameters of each family. Wh en not shared, the nested element is not recognized as separate from the overall family it is placed in, and only the entire collection can be selected, tagged or scheduled. A decision should be made UP FRONT on if the individual elements of a nested family need to be tagged/scheduled. 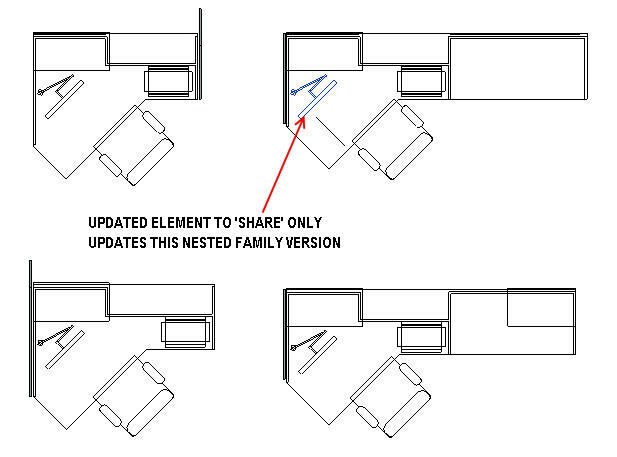 If this is required, each nested family must be SHARED. This is a modification you want to do sooner rather than later, as when the modified element is reloaded into the respective multi-element family, and then that parent family is loaded into the project, the other nested elements in the other multi-element families do NOT update automatically. This can result in differing appearance/behavior across what you THINK is the same element. Chaos ensues. 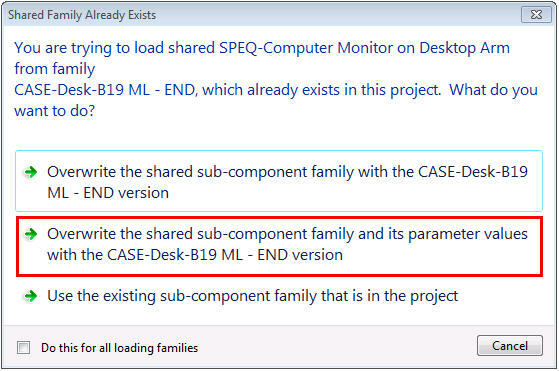 To update across the project, each nested family needs to have the updated sub-component reloaded into it, then that nested family reloaded into the project. As an added complication, changing the SHARED parameter requires overwriting WITH parameter overrides, which could alter numerous instance settings applied across the project. Now, it seems like the best thing would be to go ahead and SHARE everything nested – but the downside to that is reloading updates to individual elements is MUCH more processing intensive. This can be a real workflow bog-down if many of those elements will not ever need to be individually scheduled. SO – the lesson here is to decide what will need tagging/scheduling, and share ONLY those elements. 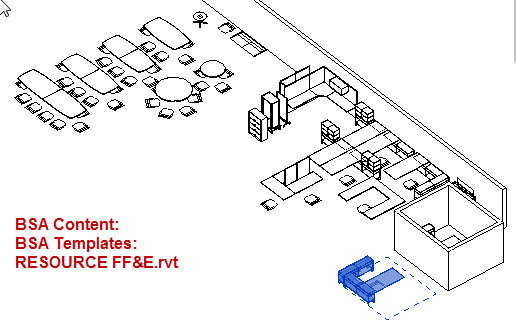 Although a Revit file can be a complete site, I HIGHLY RECOMMEND teams model the SITE separately from the BUILDING. 1) Buildings are modeled in PROJECT NORTH by default. This makes for more accurate models/data, and supports the majority of the documentation layout. 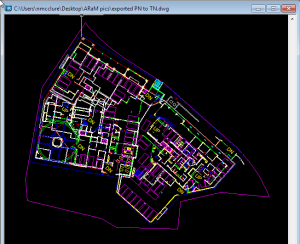 2) SITES are often created directly from CAD/Civil documents, which are generally TRUE NORTH. Separate SITE and BLDG files make this easier to manage. 3) A separate BLDG allows various siting/positioning studies to be easily and quickly performed, to evaluate daylighting and sunshadows. It is VERY difficult and messy to attempt this when the file is all together as one. 4) Processing for larger site projects is much more efficient with separate SITE and BLDG models, using worksets and unloading the linked file when not being focused on. IMPORTANT: The Project Base Point is Revit’s “ORIGIN” – this cannot be changed. If you want the Revit origin to be located elsewhere in the future, the MODEL must be moved around this stationary point. Due to all the inherent vertical workplane relationships within the model, picking it up and moving it can be VERY MESSY and time consuming, and can break a lot of the model. A thoughtful decision about where to begin modeling relative to this fixed-origin is extremely important! IF the Civil/CAD resource for the site has a workable origin (locating the final project extents wholly within a 20′ diameter area) the CAD file can be linked in ORIGIN-to-ORIGIN to keep those points the same. NOTE: This does not resolve the rotational difference between PROJECT and TRUE North, which must still be manually set initially. 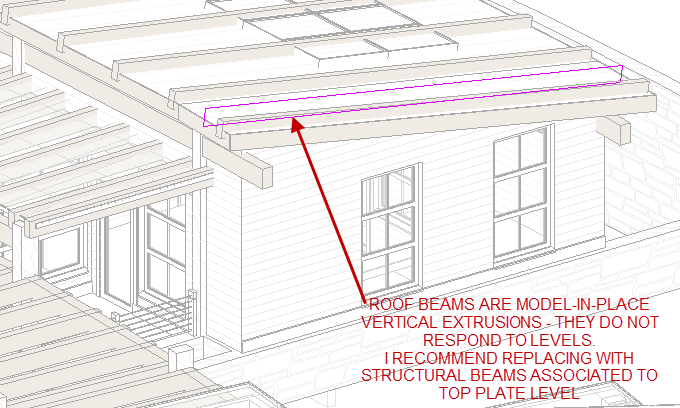 If the CAD origin does NOT work for direct use in Revit, I recommend the team select a VISUAL/KNOWN POINT (Property Line, or other easily referenced and static point). 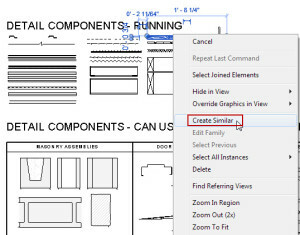 Link the CAD file in CENTER-to-CENTER (which Revit will default to, if the ORIGIN-to-ORIGIN is not viable), and MANUALLY move the CAD link to position the desired Reference Point to the Revit Project Base Point. 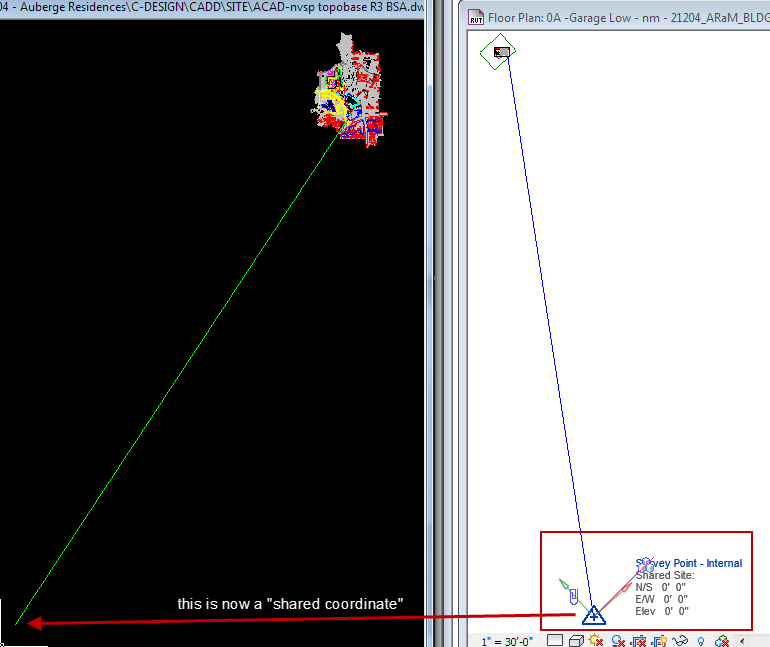 Once positioned, PIN the CAD file to prevent accidental moving. NOTE: selecting a visual point is recommended to facilitate exporting DWG backgrounds, and having a visual marker to assist with coordinating positioning across files without a shared origin. Often, a design team does not have any site/civil resources before beginning preliminary design. (Again, this is a strong reason for modeling the BLDG separate from the SITE). In this case, start the BLDG file first, and model around the Revit Project Base Point, setting it to be a VISUAL/KNOWN POINT (Property Line, or corner of (E) building, or at the very least, the intersection of primary grids (A & 1). DO NOT leave the Base Point position to be arbitrary! This would become a real pain in the future, believe me. This applies when the Revit model has not been able to coordinate to a CAD origin BEFORE developing the model. 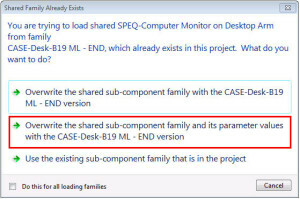 While this process is not required, it does make for much more convenient exports of CAD backgrounds from the Revit model that a consultant can xref in ‘Origin-to-Origin’ and not have to manually position things. b) WBLOCK that line referencing the 0,0,0 origin. d) move the line end to the visually identifiable point. e) PIN IT IN PLACE. c) Using Manage > Specify Coordinates at a Point, set the Survey Point to 0, 0, 0.
c) proceed with export process. 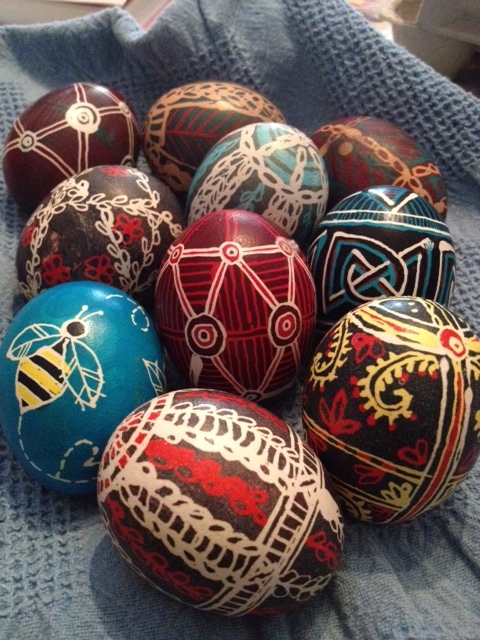 I like my holidays secular, but will still indulge in a tradition or two – this is my second year making Ukrainian style Pysanky Eggs. Raw eggs are drawn on with melted wax using a special funnel-tip pen, and then dyed in various colors into a multi-layered pattern. They are time consuming, to say the least. But also quite fun, once you get past the first time you singe your fingertips in the hot wax. Test fit requests often precede actual T.I. contracts, and are typically a very basic per-square-footage fee. As such, budgets rarely allow for 3D build-out of existing spaces, and the goal is primarily to get area summaries and office/workstation counts against the tenant’s programmatic goals. Link in the CAD file. Assign to it’s own workset, and PIN it in place. 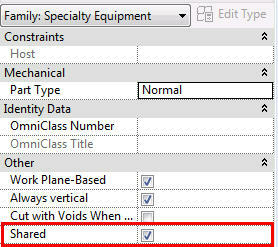 QUERY the CAD file and hide any layers that are not relevant (or overly graphic) to your intended deliverables. Set visible CAD layers to black solid linework through the VG panel. 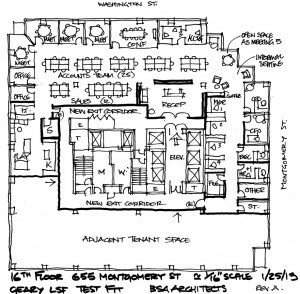 NOTE: Even handdrawn plans can be used as backgrounds – insert the image and scale using a known dimension (typical 3′-0″ door, for example). Use a floor to both calculate the Area of Work, and to cover over CAD linework of existing layout. Use subset floors to define ‘zones’ if needed. Use Floor tags (TI Area of Work or TI Program Area) to list overall/subarea square footage. NOTE: The tags require manually typing in the area, to ’round up/down’ to an appropriate whole unit. Create a TEST FIT set, and create the number of Options you anticipate evaluating (you can add/delete later, if needed). Create elements CONSISTENT TO ALL OPTIONS in the Main Model (Floor to define overall area, for example). All other work should be modeled in the specific Option desired. NOTE: As CAD walls/doors will not be modeled, use Detail Lines in the option to trace over intended DEMO elements with dashed linework. The project template will NOT be preloaded with furniture – you need to select what you need from the Firm’s RESOURCE FF&E file (my recommendation for content management). Copy/paste to the Main Model of your project, off to the side of your area of work. Be active in appropriate Design Options when placing the components, to assign them correctly to your various options. NOTE: Schematic TI content often has convenient parameters to allow maximum flexibility from a single family (manufacture specific content will never be this flexible). Create new types in your project if a variety of sizes are needed. Create Schedules for each layout Option, and filter by the “Starts with..” prefix WORKST. b) Use specialized tools. Cone’s session cites 2 options for Revit Add-Ons: Scan to BIM and CloudWorx. 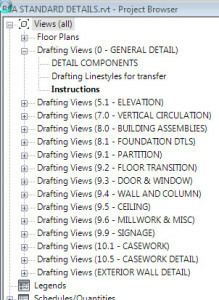 Revit 2012 and on will natively import a cloud without these tools, but good luck with interpreting and efficiently creating elements without one of these (or possibly others) tools. c) Cull the noise. Unless you’re lucky enough to get scans of a completely vacant building, there’s going to be extraneous stuff in the way. You can attempt to clear these away manually, but its faster and more accurate to use the specialized tools. Use a cloud viewer to validate your culling before you even begin to attempt geometry creation. The presentation certainly covers much more ground, and far further in depth, but these key points were what I wish I knew a year ago, and could have strategized before the project clock began ticking.